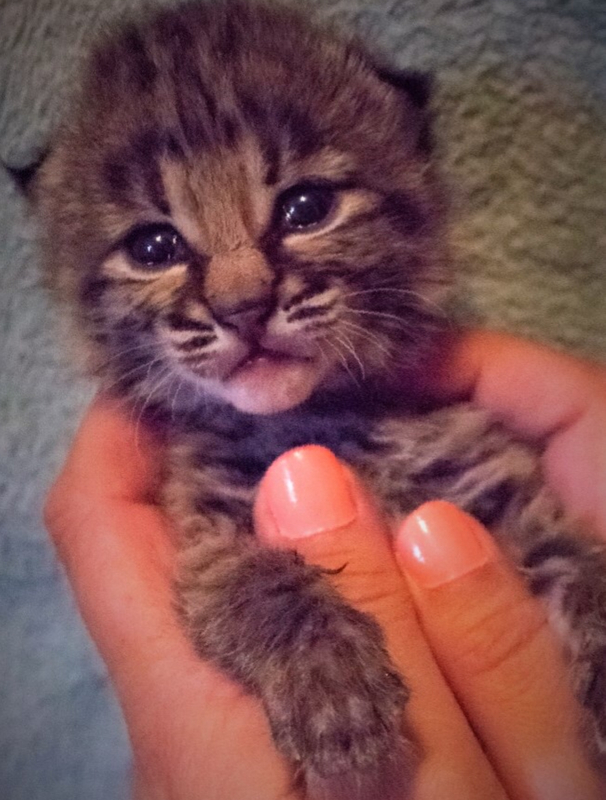 Wildlife World Zoo, Aquarium & Safari Park is excited to announce the birth of a bobcat! Visitors can come out and view the native newborn on display inside Wildlife World’s Baby Animal Nursery. Wildlife World’s expert hand raising and veterinarian team has reared dozens of diverse species, including rare and endangered felines such as ocelots, jaguars, and tigers. And, now they are raising the bobcat kitten! The kitten requires around-the-clock care and is currently being bottle fed. Over the next few weeks meat will slowly be introduced into kitten’s diet. There are thirteen subspecies of bobcat found across North America (from Canada to Mexico). Bobcat habitats vary widely, ranging from forests and mountainous areas to semi-deserts and brush land. Bobcats are excellent hunters. They stalk their prey with stealth and patience, then capture their prey in one great leap. The Bobcat population is threatened due to habitat loss, disease, automobile accidents, and hunting—the bobcat is often hunted for its beautiful fur. Given the declining population and elusive nature of the bobcat, visiting Wildlife World’s bobcat kitten is a great way for guests and school children to learn the importance of maintaining a healthy ecosystem and learn about the wildlife that can be found in our own backyards! The lineup at the baby animal nursery at Wildlife World Zoo, Aquarium & Safari Park includes the bobcat kitten, and 2 warthog babies! With more than 600 species & 6000 animals on display, there are always new arrivals at Wildlife World! Other babies on display include Austin, the reticulated giraffe, Arizona’s first marine mammal, Sunny the Sea Lion, black swans, several hoofed animal species, a variety of primate species, including red handed tamarins, De Brazza monkey, colobus monkey and other youngsters throughout the 100-acre park. Wildlife World’s keepers and veterinarians have raised dozens of species of wild and endangered animals over the past quarter century and strives to maximize genetic diversity in the zoological population with their breeding programs. As an USDA licensed, private institution, accredited by the Zoological Association of America (ZAA) and the Alliance of Marine Mammal Parks & Aquariums (AMMPA), Wildlife World Zoo, Aquarium & Safari Park receives zero taxpayer funding. No tax dollars have ever been spent to build or operate Wildlife World in its 33-year history.